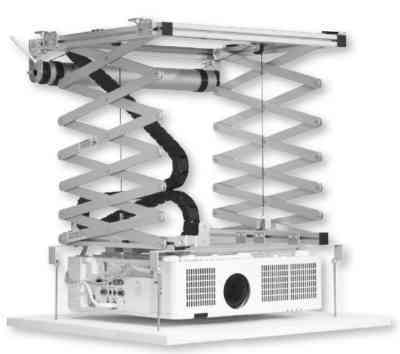 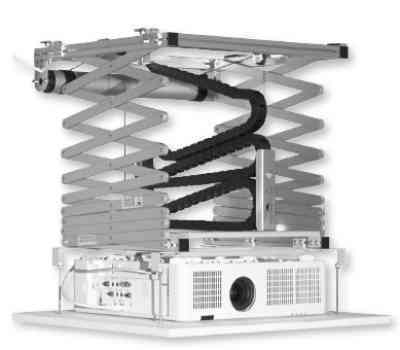 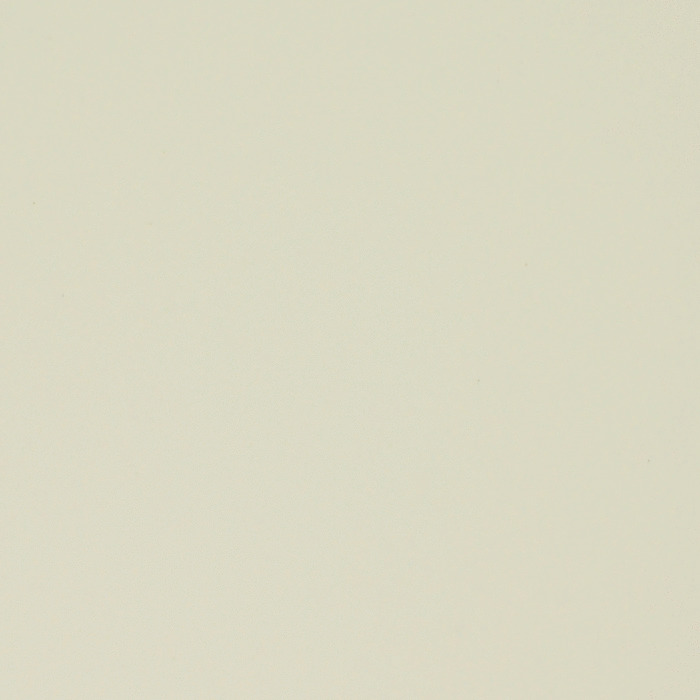 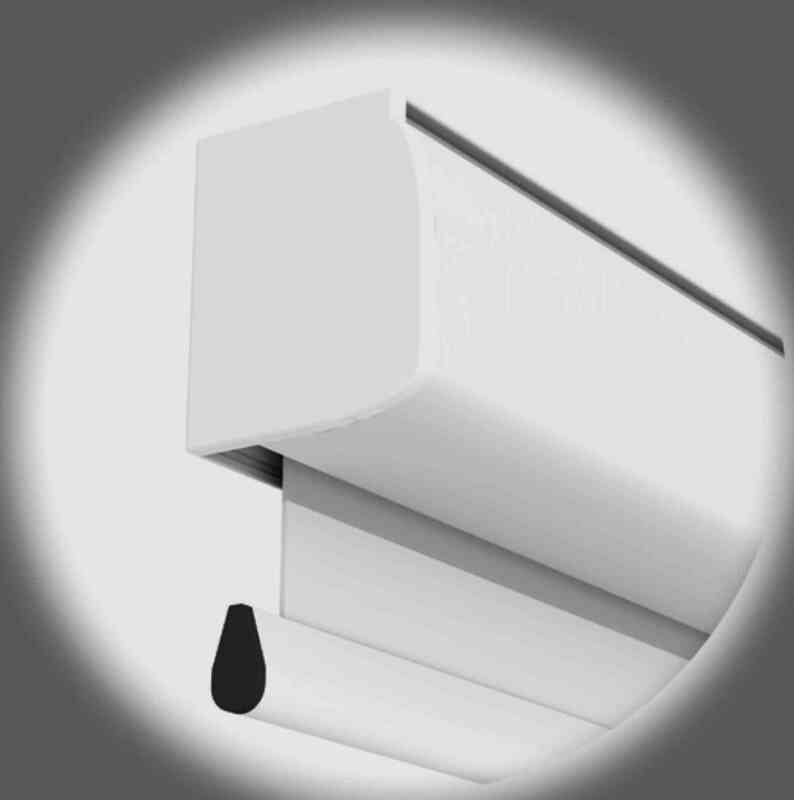 Small white RAL 9010 housing. 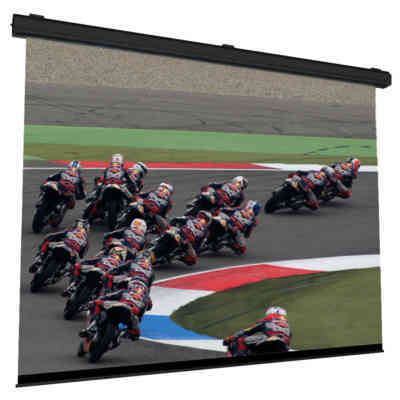 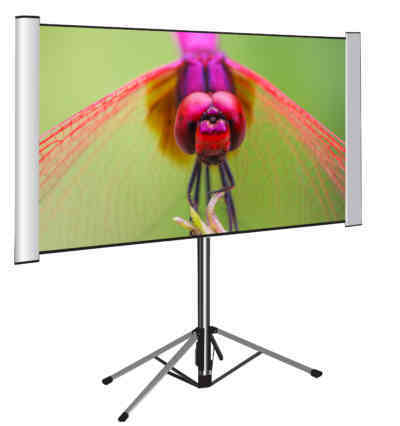 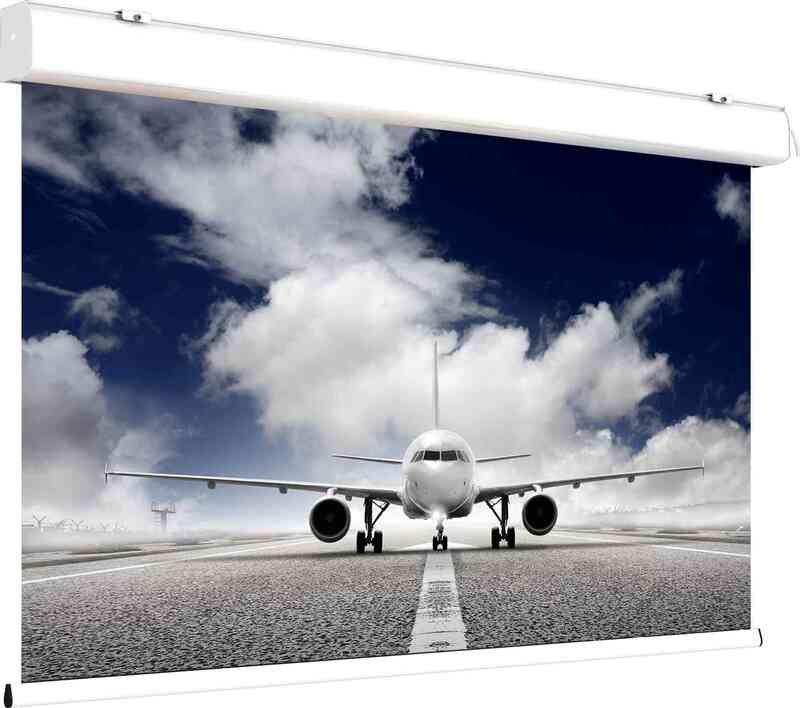 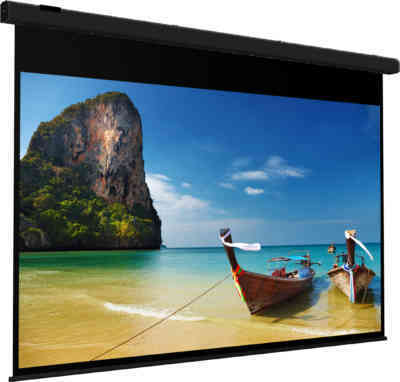 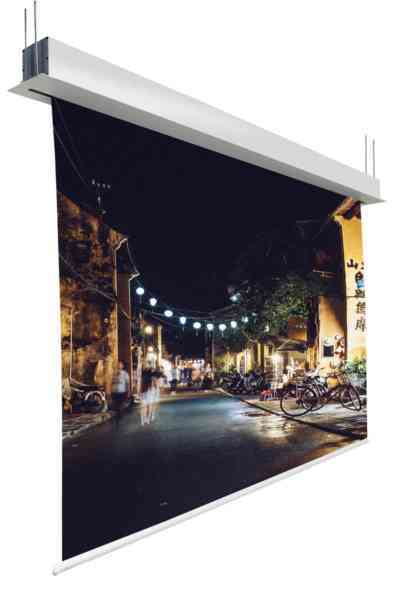 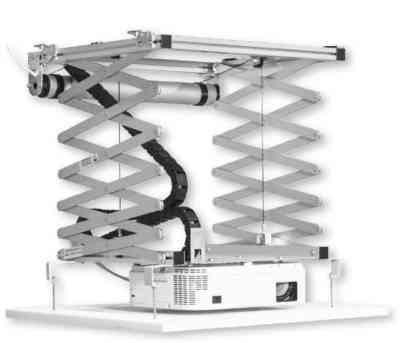 Homevision is an electric screen whose features, high quality standard, silent system of fabric dragging and versatility under different projection conditions, make it the right solution for small to medium size rooms. 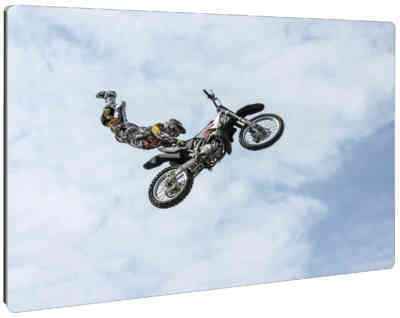 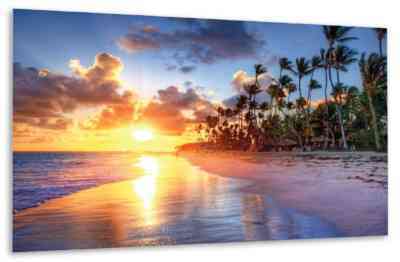 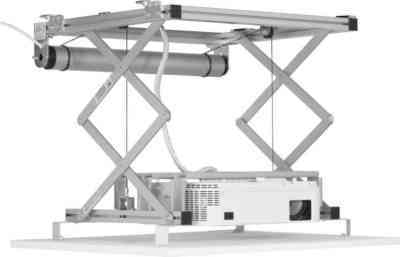 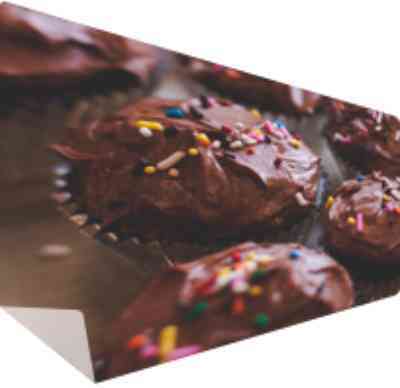 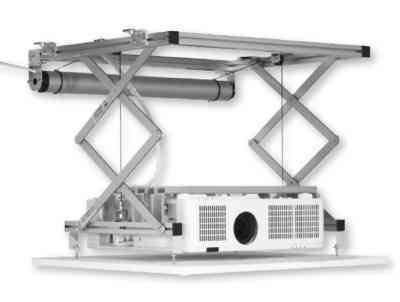 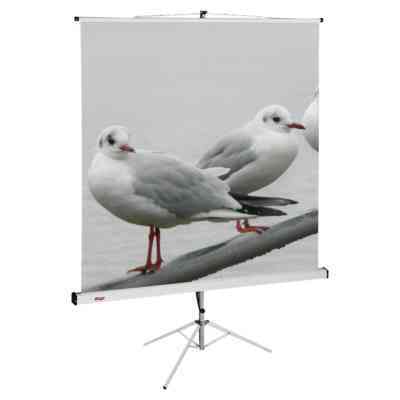 The wide range of fabrics available satisfy almost all the various projection needs. 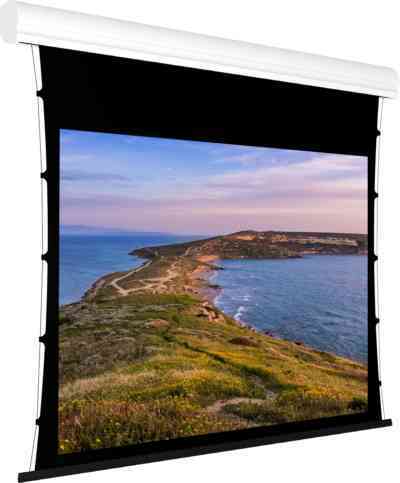 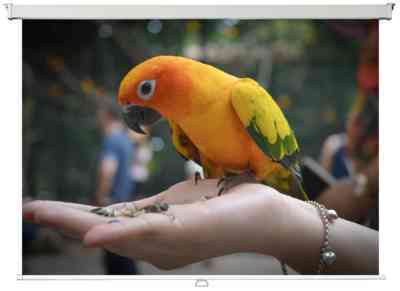 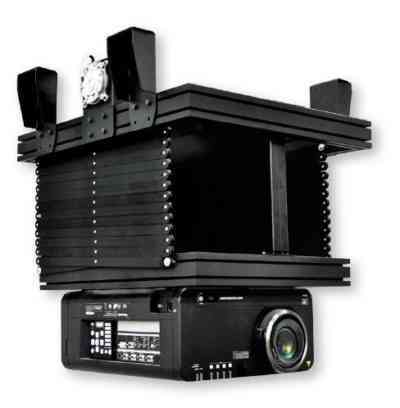 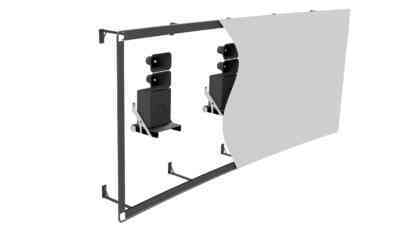 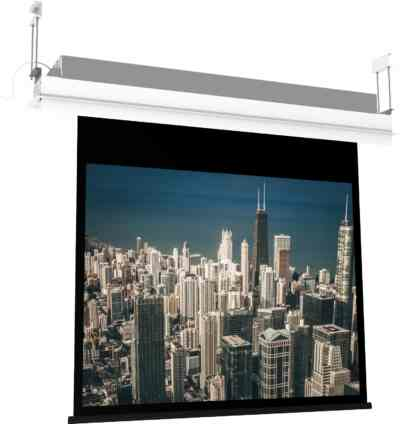 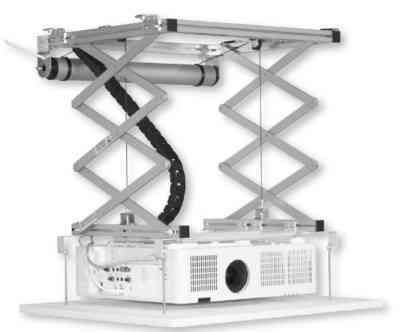 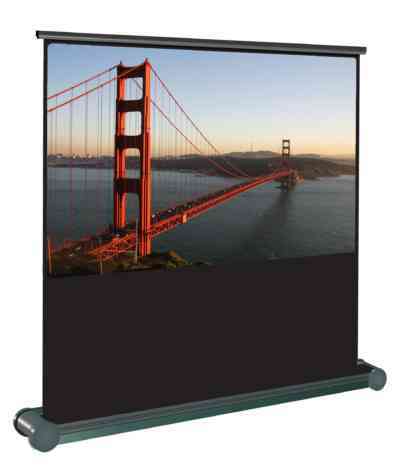 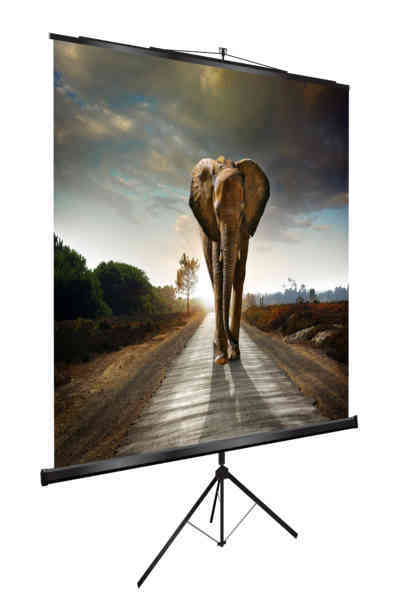 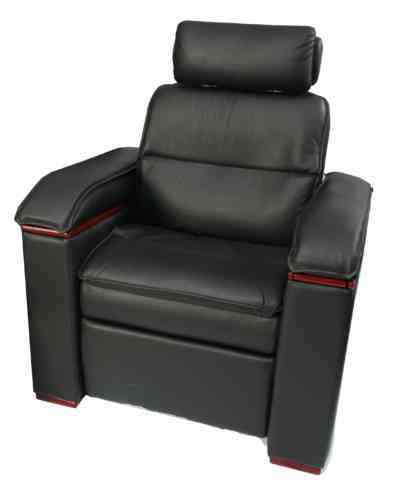 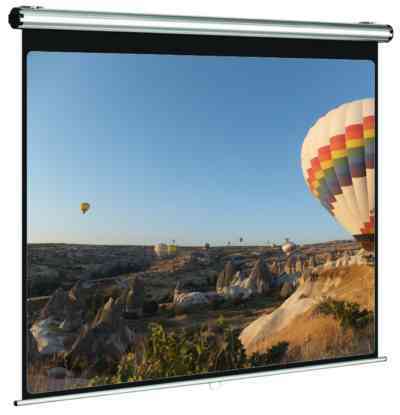 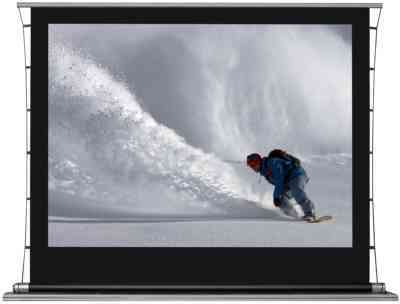 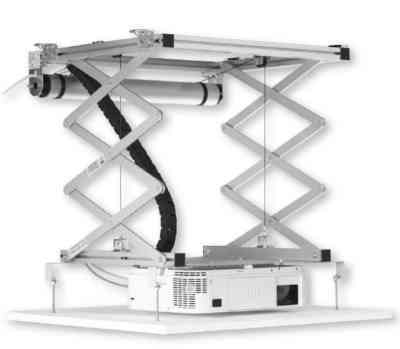 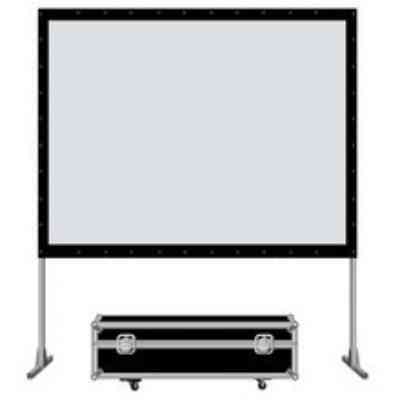 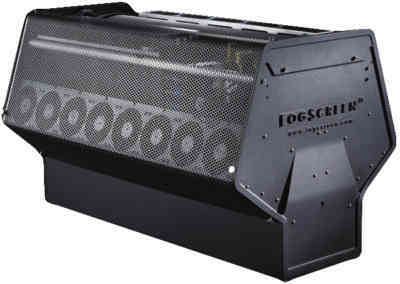 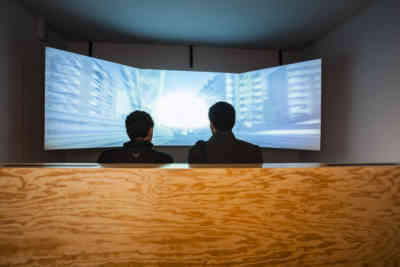 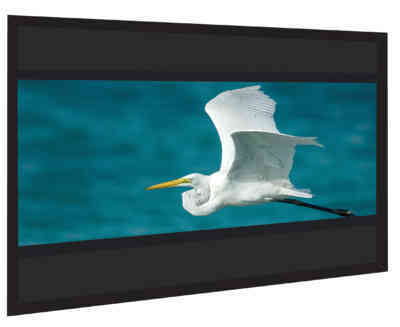 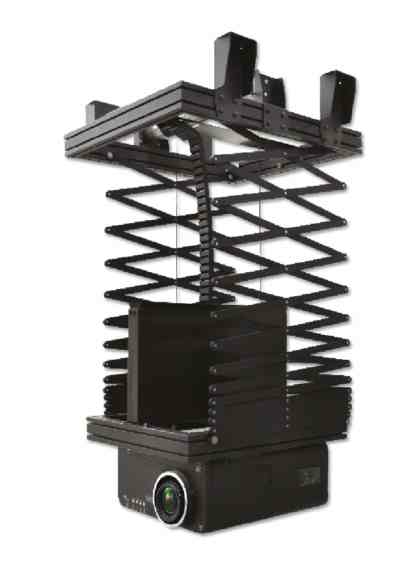 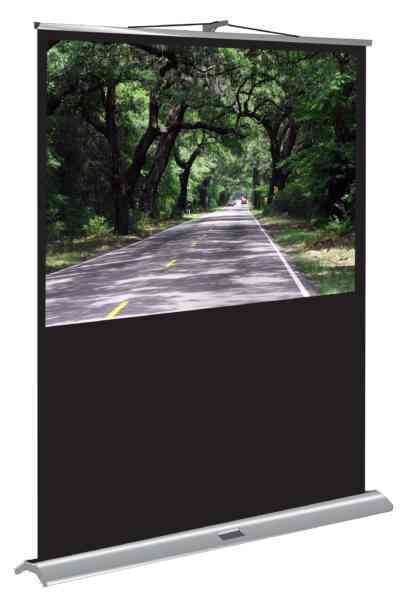 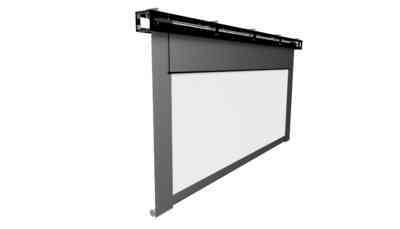 The Homevision electric roll screen is an excellent solution for private screenings or large audiences. 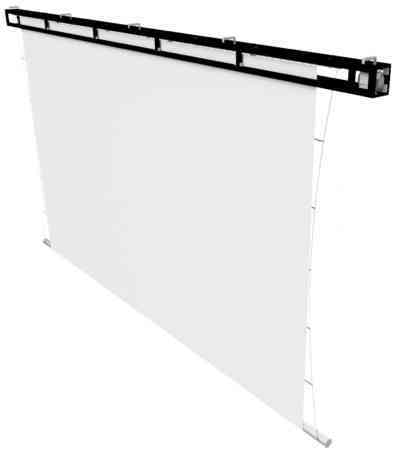 Available with 5cm black surrounding borders and drop of 30 cm, or without black borders and also in tensioned version (tab-tension). 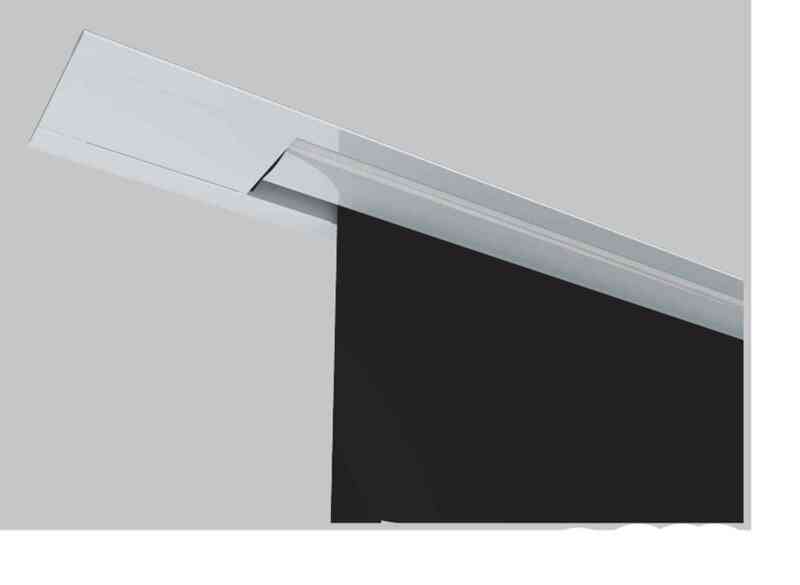 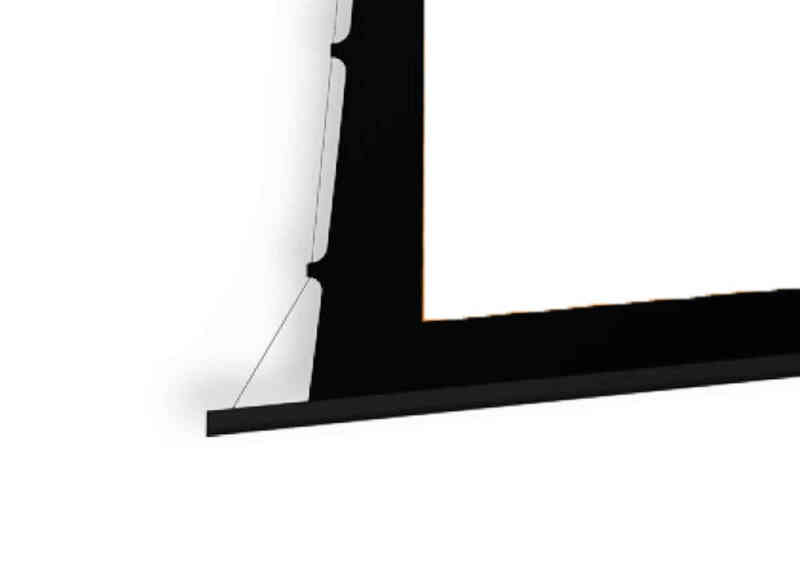 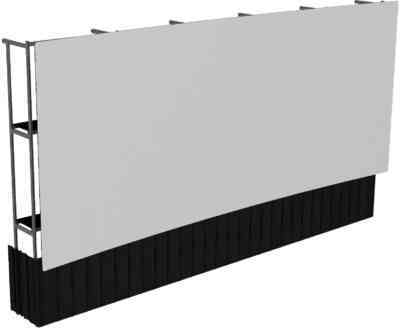 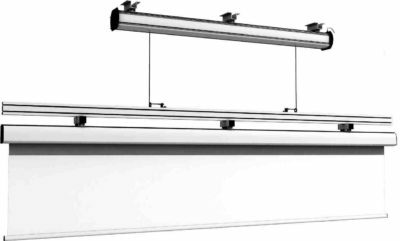 PRO model: white dowel bar (height 35 mm - thickness 20 mm) and optional black side borders.